When it comes to Indian bridal wear, jewelry is queen. Your accessories on D-day can make or break your look, but keep in mind that it’s not just about your necklace or danglers or maang-tikka or bangles. You can dress up your shoes with some jewelry too! If you’re having a hard time believing that shoe-jewelry actually exists, you need to go out and get some for yourself. There is a range of such ornaments out there which you can pick and choose to embellish your shoes with. Mostly, they’re meant to add some extra bling to your wedding footwear, so if that doesn’t fit into your personal style, maybe you’ll want to keep away from it. If you love bright, sparkly things, a dash of jewelry on your bridal shoes will be the perfect complement to your wedding dress. If you prefer more classic, simple styles, go for clip-ons with timeless ethnic motifs such as paisley or floral patterns. If you’re more experimental, don’t have matching clip-ons on both shoes. Basically, use shoe-jewelry to customize your shoes and let them be a reflection of your personality. And there’s an added bonus too – you can use your shoe-jewelry post-marriage to dress up other shoes too! One purchase and your footwear closet is virtually transformed! Sounds great, doesn’t it? So brides-to-be go out there and get yourself some lovely shoe-jewelry! 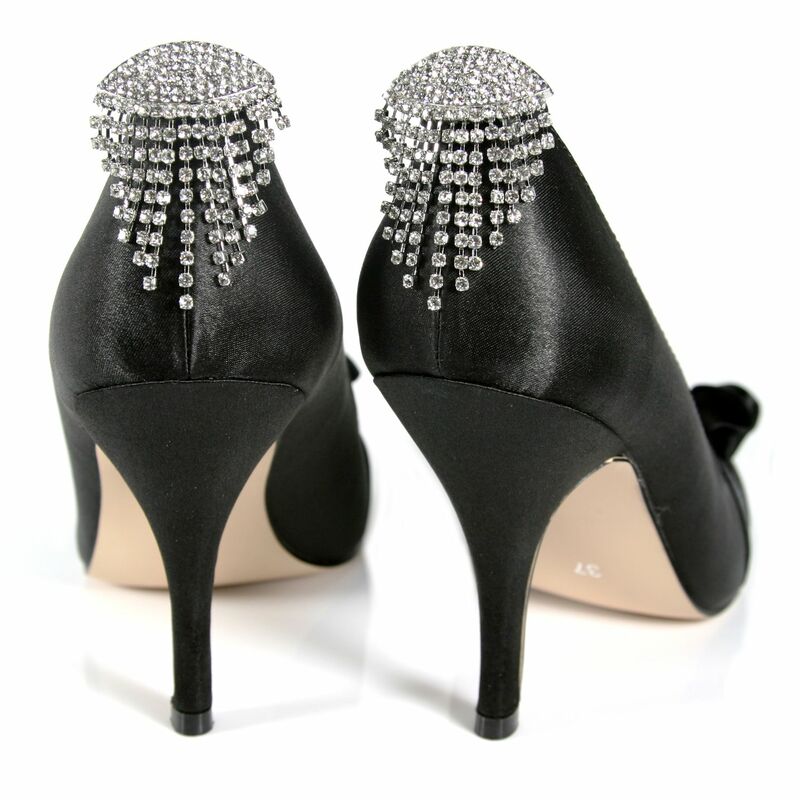 Blingy wedding shoes accessory for your bridal shoes? Say 'Yes'!